On April 12 1961, Yuri Gagarin became the first human to leave the Earth's atmosphere and venture into space. An icon of the 20th century, he also became a danger to himself and a threat to the Soviet state. At the age of 34, he was killed in a plane crash. 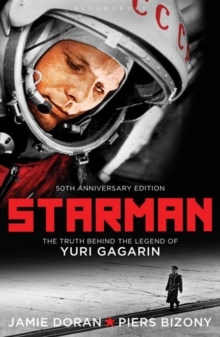 Based on KGB files, restricted documents from Russian space authorities, and interviews with his friends and colleagues, this biography of the Russian cosmonaut reveals a man in turmoil: torn apart by powerful political pressures, fighting a losing battle against alcoholism and rebelling against the cruelties of a corrupt totalitarian regime. 2011 marks the fiftieth anniversary of Gagarin's flight. This new edition of Starman includes a new afterword that celebrates the importance of that momentous expedition and reflects on Gagarin's legacy.